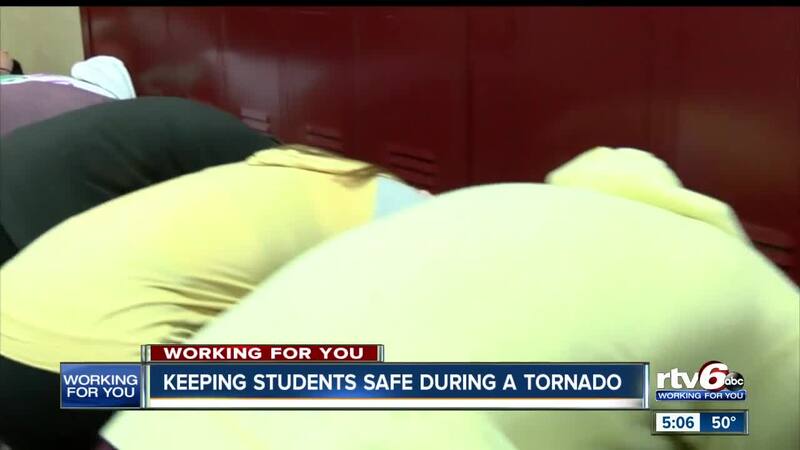 Keeping students safe during a tornado. FISHERS — Schools are in charge of keeping the most vulnerable people in our community safe. RTV6 is looking at how they are taking steps to prepare your students for severe weather. 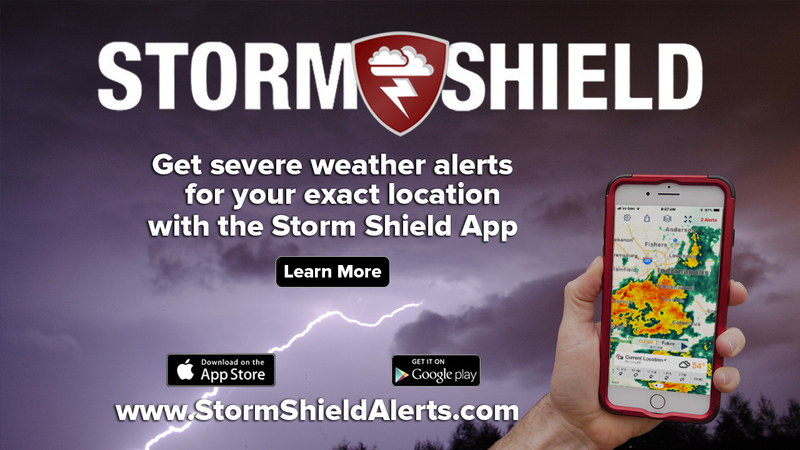 On the intercom at Riverside Junior High School in Fishers students could hear this, "Teachers and students at this time we need to move quickly and quietly to our severe weather shelter location." Students and staff at the school take part in a tornado drill every semester. Eighth grade students Suhita Chintalacharuva and Tate Meaux break down what they have to do during the drill. "When the drill comes on will go out of our rooms," Chintalachrauva said. Then there’s the next step, "We have to get to the basement," Meaux said. Many students then head into classrooms under desks or against the lockers. Meaux adds once they’re at their designated locations, "We cover our head and our neck and get close to the wall to protect ourselves." Chintalachrauva said they stay in that position until, "We wait till the all clear." These drills are looked at and modified if needed after every drill according to the school’s Assistant Principal Jamie Andrews. Staff are being trained and updated with any drill modifications, Andrews said. They teach this to students so they can also use these skills outside of the classroom, it is encouraged to educate the entire family about what they learned during the tornado drill. Parents are informed about the drill through the Skyward Alert email system. Andrews points out the importance of clear communication about these drills with students and parents. "Having those conversations, knowing where they need to be is very important to keep them safe in a situation where a teacher or an adult isn't around," Andrews said. Students like eighth grader Wesley Green appreciate these drills to be ready for severe weather. "No one knows when it's going to happen, so we just have to be prepared for it," Green said. Along with tornado drills, students take part in fire drills every month and man-made drills quarterly.